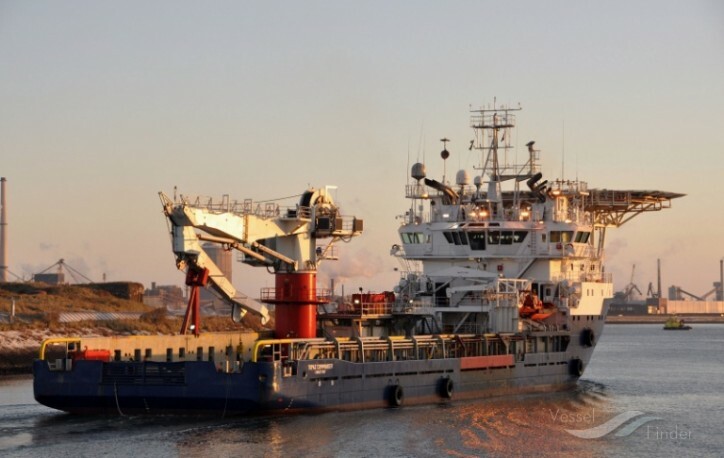 Topaz Energy and Marine (Topaz), a leading offshore energy logistics company, announced yesterday that it has signed contract extensions for 12 of its vessels currently supporting the offshore operations of BP Exploration (Caspian Sea) Limited ("BP") in Azerbaijan. Under the terms of the agreement, seven of the offshore support vessels will be under contract until 2025, three until 2023 and two until 2022. The extended contracts all include a two-year option to extend. The agreement has materially increased our backlog, while also converting a significant portion of our "options" backlog to "firm" backlog. This agreement further enhances Topaz's very robust position and focus in the Caspian Sea and demonstrates the strength of our logistics offering amongst a blue-chip customer base. Our total fleet serving in Azerbaijan currently stands at 21 vessels. Topaz's current fleet contracted by BP through this agreement spans large anchor-handlers, platform supply vessels and emergency response and recovery vessels. The vessels will continue to support BP's work on the Shah Deniz and ACG fields in the Azerbaijan sector of the Caspian Sea. Azerbaijan remains a key strategic region for Topaz and as a long-term operator, Topaz has demonstrated its commitment to Azerbaijan through important in-country value creation with local partnerships, high levels of local employment, supply chain development and significant investments over many years. The Caspian has been a strategic region for Topaz for more than two decades and this agreement in Azerbaijan demonstrates our commitment to building on our existing position supported by our highly-valued partners in the country."